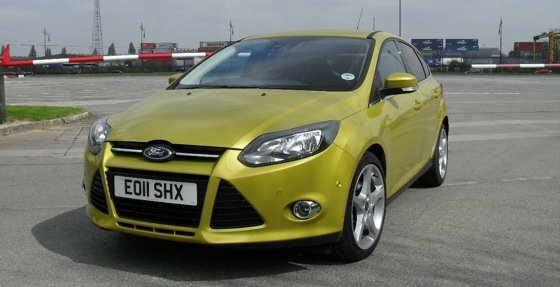 Review With Ford’s consumer research showing that drivers regard its cars as fun to drive and reliable to own but not particularly hi-tech, it’s playing the technology card heavily with the third-generation Focus. The new car comes loaded with sort of driver assistance kit that just a few years ago would only have been found on a high-end Mercedes. What we're talking about here is a long list of driver aids with names like Low Speed Safety, Lane Departure Warning, Lane Keeping Aid, Traffic Sign Recognition, Adaptive Cruise Control and Parking Assist all of which take data feeds from a camera that sits in front of the rear-view mirror; side-, rear- and forward-looking radars; and side-mounted ultrasonic detectors. In fact, with its 360° sensor array, the new Focus probably has a clearer understanding about what’s going on around it at any given moment than many drivers have. 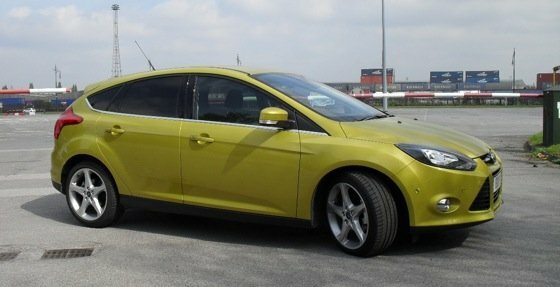 Ford boasts that Parking Assist can get the Focus into a gap only 20 per cent longer than the car itself. I’d be inclined to agree with that, it certainly got it into spaces I would have been reluctant to try and requires nothing more from the driver than control of the clutch, brakes and throttle. The steering is handled entirely automatically once the ultrasonic detectors have found a space on the left-hand side of the road. Not grabbing the wheel mid-manoeuvre takes some self-discipline - once you touch the wheel the system goes off in a huff and leaves you to sort things out.